AJ’s Power Source Inc. is a leading edge supplier for the industrial power technology, AJPS designs and manufactures Industrial AC to DC and DC to DC Ruggedized Power Supplies. 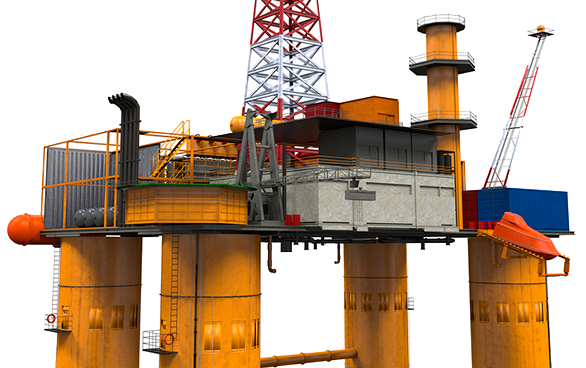 Each industrial application has its own set of challenges with demanding environments. AJ’s Power Source Inc. is a leading edge supplier for the Ruggedized Industrial Power Supply technology, AJPS designs and manufactures Rugged Industrial Power Supply, AC DC Industrial Power Supply. Each industrial application has its own set of challenges with demanding environments. AJPS has taken on many challenges from dusty and dirty locations to the extent of submersible power applications. Although the mainstay of power applications that we design are customer specification driven, the development of our configurable chassis power supplies in the section will allow for quick turn quote response and short lead times. The Rack Mount high performance power conversion solutions for the Industrial market include: AC to DC Power Supplies, AC to DC and DC to DC Portable Power Supplies, Industrial Uninterruptible Power Supply (UPS), AC to DC and DC to DC Pluggable Power Supply and Custom Power Supply solutions. A few Industrial Applications Include: Railway, Shipboard, Nuclear Power Plants, Oil Platforms, Solar Power, Wind Power, Robotics, Advertising Billboards, Heavy Equipment, Industrial Machines. Our solutions are designed and manufactured to meet the requirements of UL, CE, TUV and can be certified when necessary. Our designs are geared for Transportation, Power Generation, Alternative Energy, Electric Signage, Mining, Construction and Industrial Equipment Power Solutions. Additional Industrial applications include: Electric Vehicles, Factory Automation, Industrial Automation, Building Automation, Energy Automation, Heavy Equipment, Agriculture, Subway, Metro, Bus, Aircraft, Coal Power Plants, Generators, Hydroelectric, Test, Measurement, Machining, Road Side Signs, Traffic Lights, Cranes, Front End Loaders, Bull Dozer, HVAC, Refrigeration, Large Vacuum, Battery Charging, Solar Energy , Power Electronics, Control systems, Embedded Control, Motion Control, Actuators & Sensors, Electrical Machines, Informatics, Energy Conversion, Smart Grid, Photovoltaic, Manufacturing, Pipeline, Power Generation Plants, Desalination Plants and more. Our Industrial Product Line is fully configurable with some Special Features to meet the Industrial market requirements such as short lead time, universal AC input, power factor correction, over temperature protection, no minimum load, over voltage protection and front to back airflow. AJPS designs systems base solely on existing designs and power platforms to insure high reliability and short development time to our customers. Modular and Standard configurations including Rack Mount, Panel Mount, Standalone, Inline, VME-VPX-CPCI, Hot Swappable and Custom chassis. Please, call us today! (813) 996-2583 for more information about our Industrial Power Supply. AJPS has always provided fast, reliable, and enthusiastic service to our customers during development, production, and follow-on support. To learn more about our Industrial Custom Capabilities, please Contact us online or call our office at (813) 996-2583 our Representatives will be glad to help in providing a custom Quote for your Industrial Power Supply Requirements.